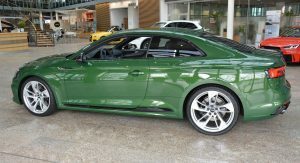 Thoughts On Sonoma Green Audi RS5 Coupe? 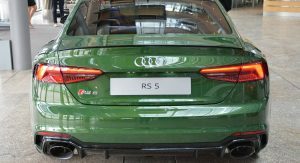 If you’re about to order yourself a brand new Audi RS5, opting for a custom color like Sonomagrün Metallic might just help people notice your super-car even more. 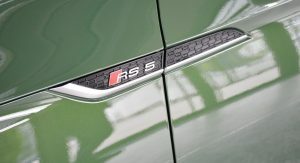 Yes, performance-wise, the Audi RS5 is a supercar, but before we get into the numbers, let’s not brush over some of the features found on this particular model. 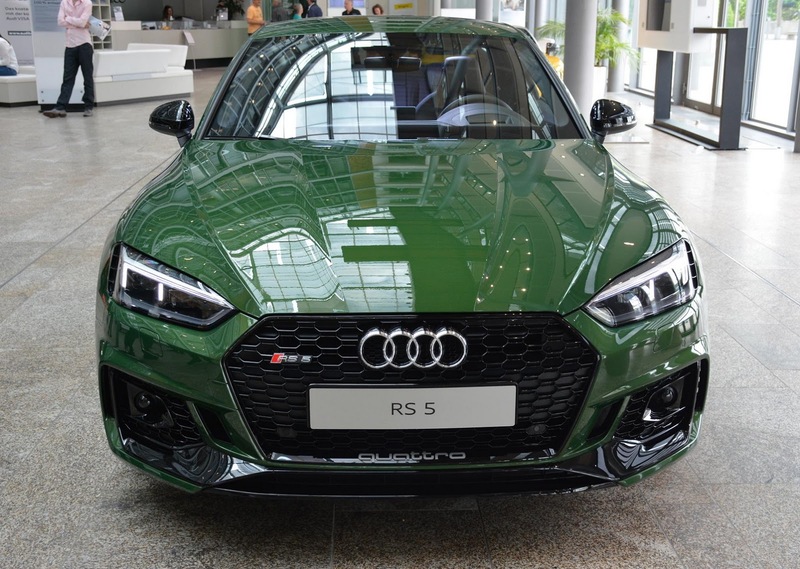 Aside from the exterior, which sort of reminds us of British Racing Green, this RS5 also boasts Fine Nappa leather RS sports seats, with the optional honeycomb contrast stitching – which is found on the door panels and center console as well. 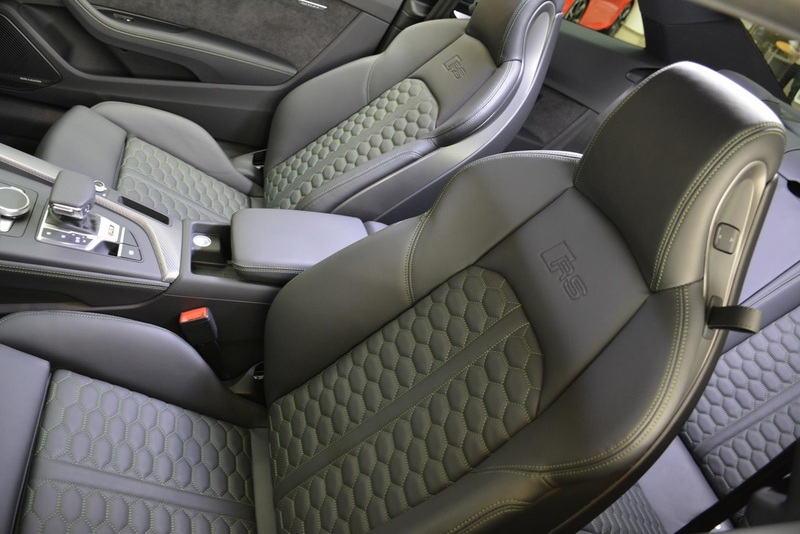 There’s also carbon fiber and Alcantara inside, which always help make an interior feel more sporty. 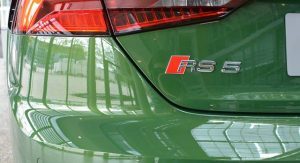 Speaking of which, premium coupes don’t get much quicker than the 2017 Audi RS5. 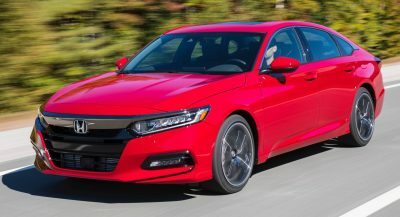 Its newly developed 2.9-liter bi-turbo V6 engine produces 450 PS (443 HP) and 600 Nm (443 lb-ft) of torque, allowing you to accelerate from 0 to 100 km/h (62 mph) in just 3.9 seconds. 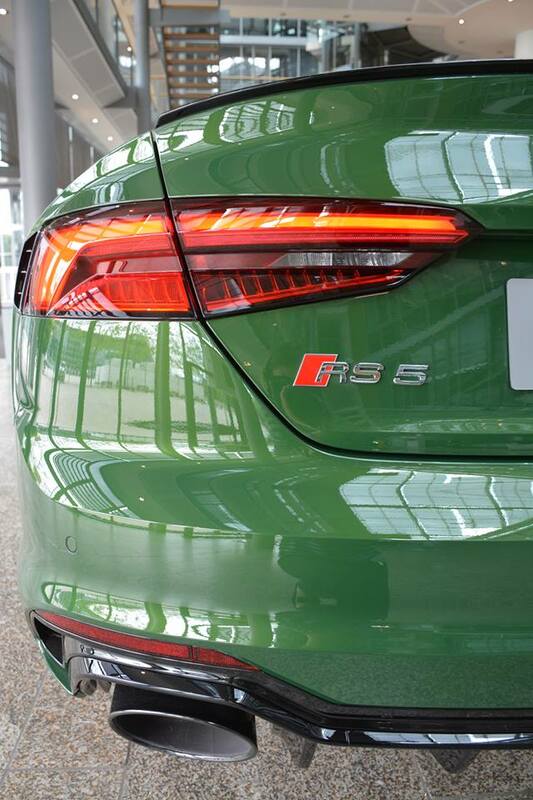 You can also max out at 280 km/h (174 mph) as long as you go for the optional Dynamic package. You must eat some odd stuff. 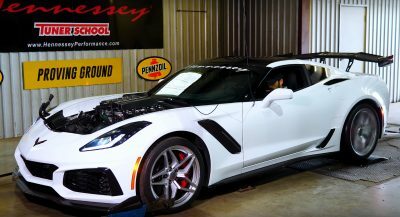 Just think about the comments from the Used Car manager when this shows up as a trade-in. You buy it for yourself. There are always going to be people who will want something different and may even pay more for it. Not everyone wants a black grey white red blue car. I agree. That color will not have worn well 4 years from now. 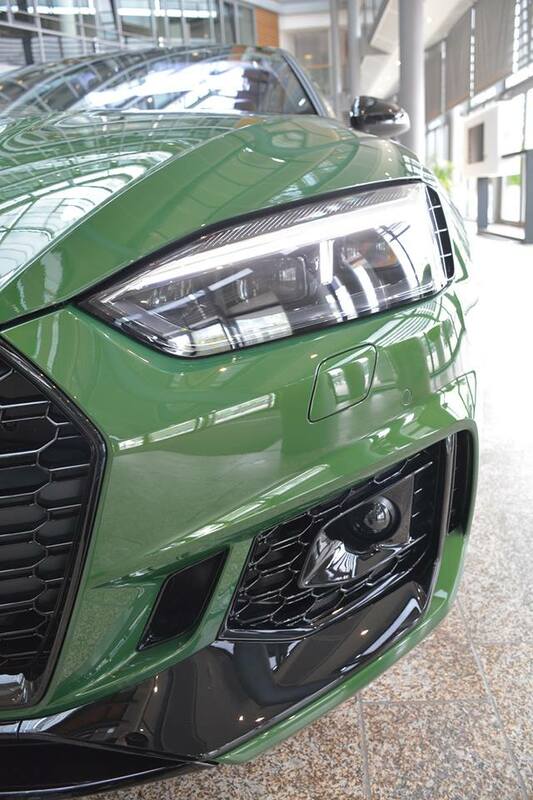 And Audi’s DO NOT have the character lines to pull off green. Sorry. Think JAG & Aston Martin. Freaking gorgeous. 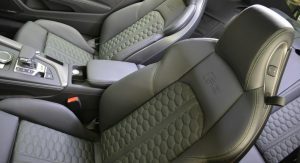 But a charcoal interior??? Green looks best with tan or cream. Nope. 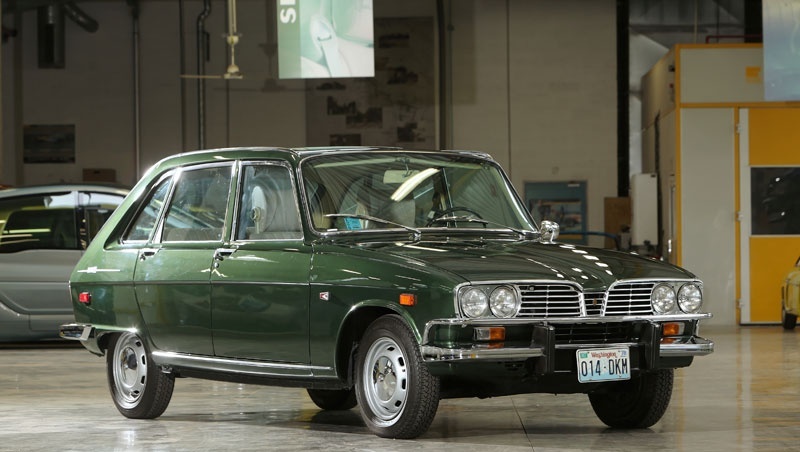 Looks like a racing green discolored under the sun. Maybe on a TT or S3. But not on this. Holy Guacamole, That will only be a one year run! 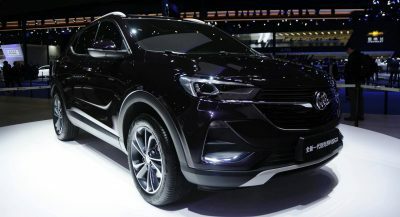 They need to ditch the Lexus RX rims for something more aggressive and less whimsical, and in black to match the mirrors and other accent bits done in black. 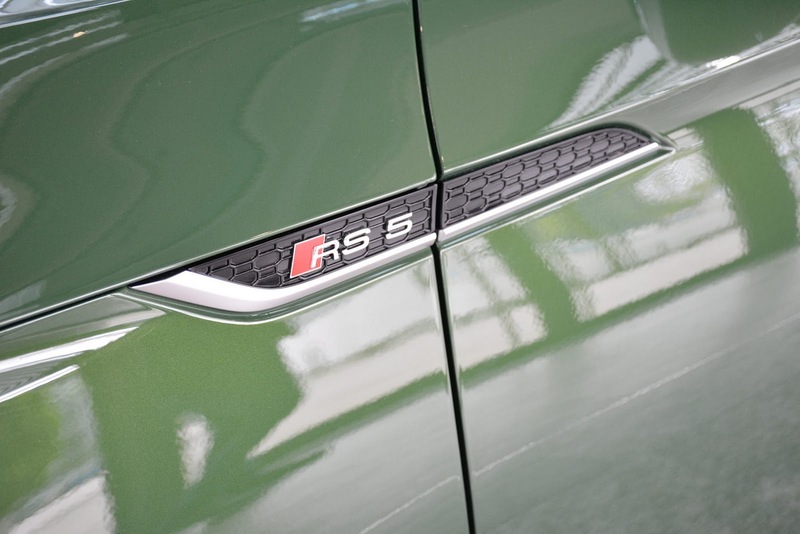 The color is pretty nice on this too, it’s a nice shade of green that really compliments the lines of the A5. The green stitching though, is the best part of this entire build, it adds color to an otherwise boring interior but an amount of color you could live with without getting tired of it. I am sorry for the owner. 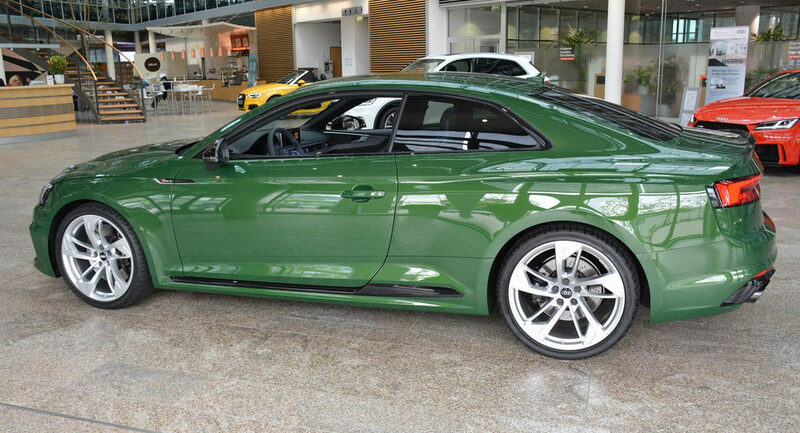 This color would’ve looked hot in the 1990s when green was popular for new cars. I’m waiting for those days to come back. So sick of silver, gray, black and white. 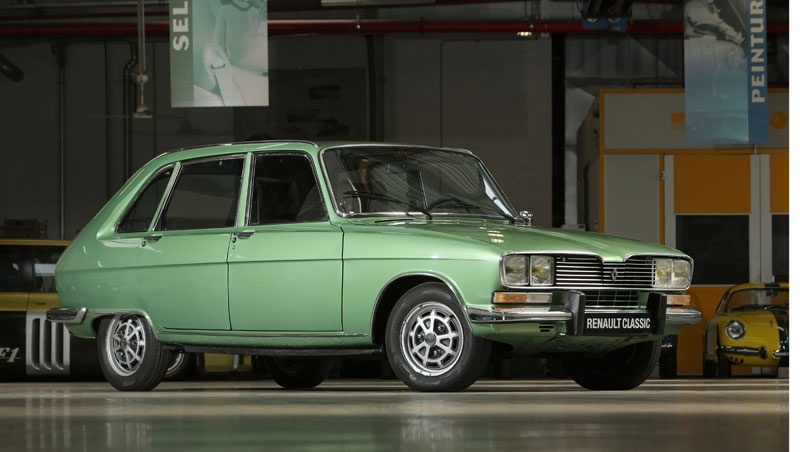 Reminds me of later Renault 16 metallic green. https://uploads.disquscdn.com/images/1e3cf1f165cd9af9a6f8dfe61cf536345e4b45ae8f4bdf68c93c68ddcec58d62.jpg https://uploads.disquscdn.com/images/7cf69b73cd99f193f1c71752416fed085fe2c843297c6356d74aa5c91b901c52.jpg As opposed to earlier Renault 16 metallic green, of course. 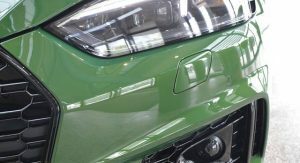 Bo Hanan: Do these have the character lines to pull off metallic green? Love it. Looks like greens are making a come back. They were huge in the 1990’s and, of course, in years before in many classic sports cars. 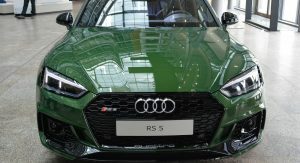 I think the Colour looks Fantastic and suites the car that it is awesome I have a RS 6 at the moment in Sepang Blue and I will be certainly looking at this car as my next one . 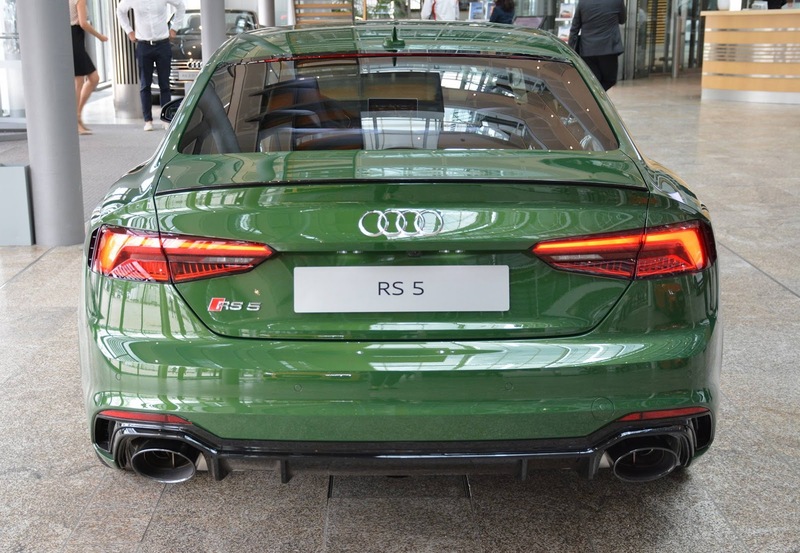 Love the color, but the RS tune is a bit much…….. 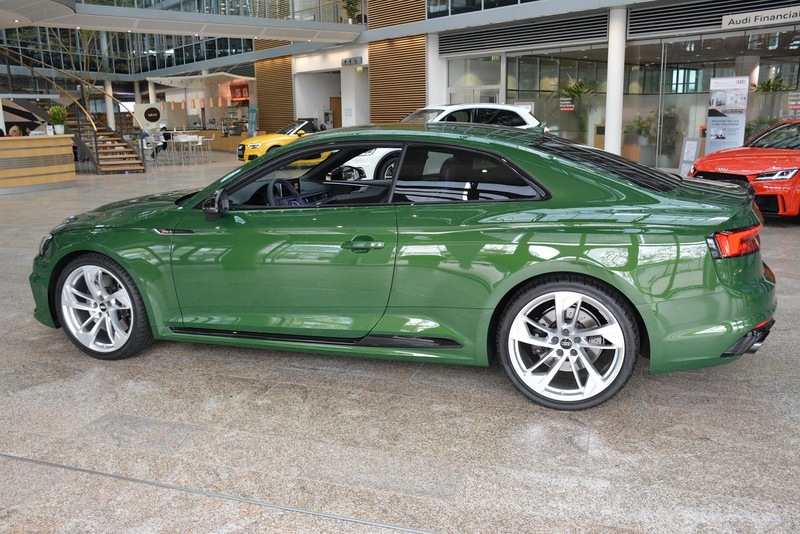 Reminds me of the hunter green fad we suffered in the 1990s.